I am an avid online shopper and one of my fave shop is Seibu Fashion. The owner Anna is a doll! I've been buying from her shop since 2007/08. Well this year she shifted her shop into a spree shop. I have tried her trial spree last December and I am very happy with what I got. You know what's the great thing about sprees compared to pre-orders? Imagine getting your items at a price with no markups!!! Cool eh? And I swear Gmarket is a goldmine! You'll go crazy from all the Korean shoes, bags, clothes and stationery (and other more stuff) they offer. And some none fashion items. I am totally crazy over cute stationery so of course I've got to order their cute planners. These planners are open dated which means you can start at any time. So it's okay to hoard. Hahaha. I'm thinking of ordering rubber stamps & stickers next. Oh what fun! 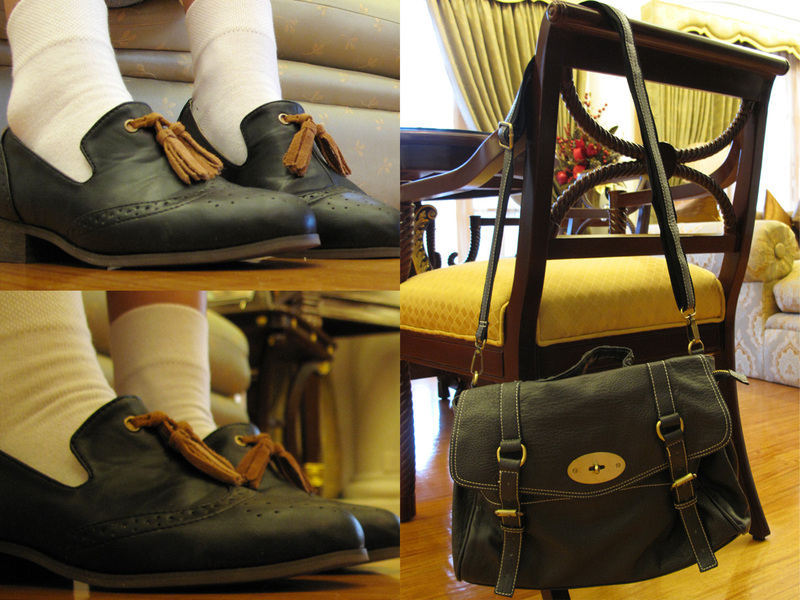 :D I adore the loafers and satchel, gorgeous! omggggg those loafers!!!!! the brown tassels on them are the perfect touch!! waaaant. love those loafers!!! gotta check on Seibu now :D thanks for sharing! looove the loafers! and the planners are super cute!!! @ maye: yup, you just pm her with the links of the stuff you want. she will quote the price. orders will arrive around 2 weeks to a month i think. I have a planner too from Space Korea! It's so cute inside. So now I'm curious what's inside your Happy Memory Diary! Hihi. I want your bag!~ ^^ And your planner is so cute too! those loafers are amazing. And love the nerdy chic look.